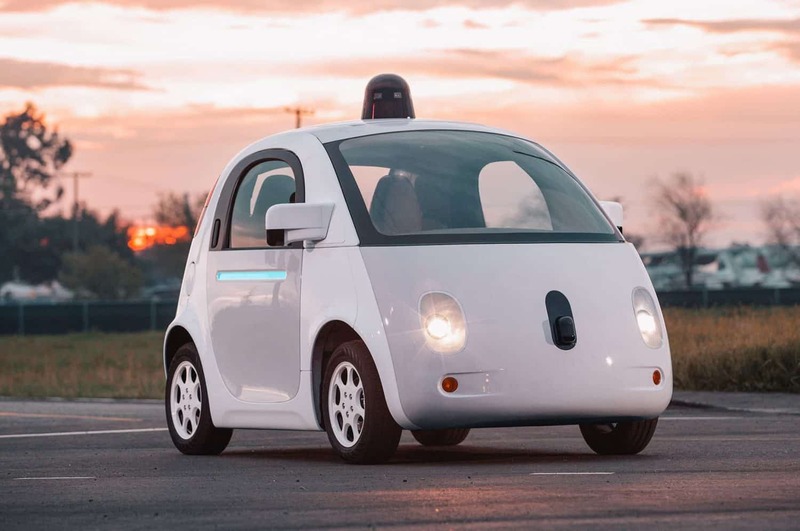 Home > Blog and Latest News > The Blog > Self-driving cars: Are we ready? Last year, the final design of the electric-powered LUTZ Pathfinder pod was released to the public, expected to be the first self-driving vehicle to operate in the UK. This is most simply; a vehicle which is capable of sensing its environment and navigating without any human input. Most of the discussions surrounding self-driving cars has been a positive one; they can increase your free time, increase access to vehicles, and improve safety. Although their benefits are vast; there are issues which need to be properly analysed before they become the norm, which this article will discuss. Before we even consider reaching an age where cars are able to drive themselves without a human controlling to some degree, it is more than likely that we will find semi-autonomous cars will become mainstream. These are vehicles which carry out basic functions such as detecting when an emergency vehicle is approaching, or braking automatically before a potential collision. Companies such as Jaguar and Land Rover are working on this; and will most certainly need to answer a few questions throughout the design process. Firstly, if basic functions are being carried out by a computer, it will promote laziness by the driver; and can therefore cause more chaos than would otherwise occur. For instance; the driver may become heavily reliant on the vehicle detecting any potential crashes, and therefore doesn’t see the need to keep a constant eye out themselves. Computers do get things wrong, think about how many times an application has randomly crashed on your phone? What if then, the vehicle didn’t detect a potential crash, which can have fatal consequences – such as a killing somebody, or even more than one person. Additionally, semi-autonomous cars can reduce the skill of the driver. As they become more and more reliant on the vehicle carrying out vital tasks for them, their skills will be reduced. Therefore, if a situation arose where the driver had to undertake these tasks themselves, it is highly likely that they may not know what to do, which again could be fatal. What if the self-driving car is faced with a decision; to either kill an adult crossing the road, or run over a group of school children? Known as the “algorithms of death”; who gets to decide what response the car will undertake? Ultimately, humans design the algorithms which the robots then act upon, how do we decide who is responsible for these decisions? Through a vote? An independent body? And more importantly, what will the algorithms be based upon – are young people prioritised, or large groups of people? Are humans given priority over animals? Unlike drones which are remotely manned by a human who makes a final decision, self-driving cars will have to have these decisions made prior to their use, in order to ensure their effective use on the road. This poses serious challenges to the implementation of self-driving cars; challenges which need to be discussed now, so that we can ensure a somewhat consensus when they are used. Just as you close the door behind you after entering the vehicle, it already has personal information on your preferences (favorite places to go, etc), day to day activities, and more crucially; who you are. In this digital age, where information is a valuable asset to businesses and various other co operations, there is no doubt in that they will be interested in benefiting from this. Although it is early to asses exactly how much information the self-driving cars will hold, it would be reasonable to assume that for a more personal and efficient journey, it may require more information about your activities than you will even be aware off. Additionally, as self-driving cars will be heavily reliant on computer technology, hackers will have an increased desire to collect this information. Although we may find this risk becoming more prevalent in the long term, it would make sense to do something about it now, so that we are in a strong position to tackle the risk of hacking occurring later on. With technology rapidly changing, this will prove to be a major challenge since companies will need to ensure that they have the correct systems in place to decrease the opportunities available to hackers, whilst taking into consideration that the technologies available to hackers may not be fully known. Ultimately, not doing anything to prevent this is simply asking for a car crash to happen. Before we allow ourselves to benefit from self-driving cars in our everyday lives, it is important that we reach a consensus on how many of these issues will be tackled. Until then, it would be safe to say, we are not ready for self-driving cars to be introduced into our lives.